Reviewed by: Scot Thomas, M.D. When pondering the broad impact of alcohol use, one might first consider its acute intoxicating effects, its association with car accidents, other injuries or even more extreme examples of people dying of alcohol poisoning after a single binge drinking session. However, drinking also causes problems that develop in the long-term, including a wide range of physical and mental health issues that could arise in connection with continued and repeated alcohol use. 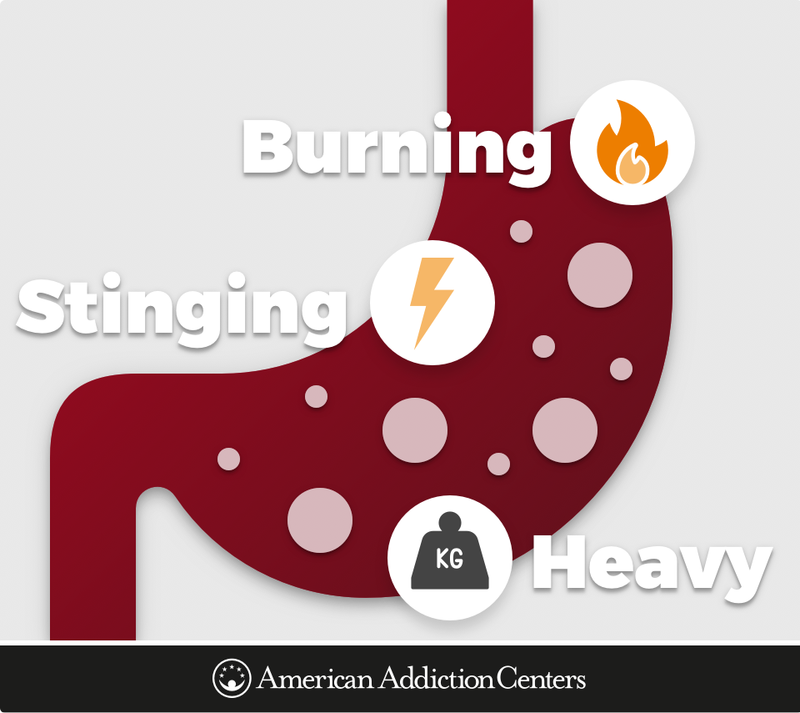 Alcoholic gastritis is one of many physical conditions that can develop as a result of abusing alcohol. This problem may seem to be nothing more than a recurrent stomachache or heartburn after drinking, but it could signal the development of additional health complications that might be avoided altogether by not drinking. Taking non-steroidal, anti-inflammatory medications like aspirin or ibuprofen (i.e., NSAIDs). Bile reflux from proximal small intestine. While these are the chief causes of the condition, there are other activities and circumstances that can contribute to the irritation, including stress, smoking and eating certain kinds of foods. How Are Gastritis and Alcohol Abuse Related? Alcoholic gastritis can develop after repeated alcohol use begins to irritate or even erode parts of the stomach lining. This, in turn, can leave the stomach lining more vulnerable to the acidic digestive juices normally produced by the body to digest food. In some cases, it can make the stomach more sensitive to acids or other potentially-inflammatory ingredients in foods themselves. Research supports an association between alcohol use and damage to the stomach lining. The results on one study found that, while also present to some degree in 72% of the adult control subjects, gastric mucosal inflammation was present in 100% of test participants with a history of chronic drinking. In those who were categorized as being “addicted to alcohol” and who had been drinking for more than 10 years, 13 out of 14 had a type of gastritis that was causing the stomach lining to atrophy. Interestingly, this “atrophic gastritis” was also only observed in people categorized as having an alcohol addiction. This study highlights the prevalence of alcoholic gastritis among people who drink heavily. Additionally, those who develop this condition may be prone to other significant medical complications and long-term health issues. For example, according to the American Society for Addiction Medicine, the increased incidence of vomiting in people with alcoholic gastritis could lead to esophageal tears and upper gastrointestinal bleeding—which could be fatal. Upper abdominal pain, ranging from a burning ache to stabbing pain. Bloated or full feeling in the abdomen. In individuals with alcohol associated gastritis, in contrast to those cases with some other causes, the symptoms may be felt only after an evening of binge drinking or, alternately, might present as a more chronic problem for individuals who engage in regular, heavy drinking. The symptoms may also flare up between meals and, depending on the location/extent of mucosal inflammation, can either be helped or worsened when eating, depending on the food. As mentioned, because alcoholic gastritis results from damage to and/or inflammation of the stomach lining, it is sometimes also associated with more severe complications, such as gastrointestinal tract bleeding. GI bleeding constitutes a medical emergency that requires immediate intervention. While the location of GI bleeds vary, vomited blood might indicate that a tear has been made in an esophageal blood vessel or that an ulceration has developed in either the stomach or duodenum (proximal portion of the small intestine). 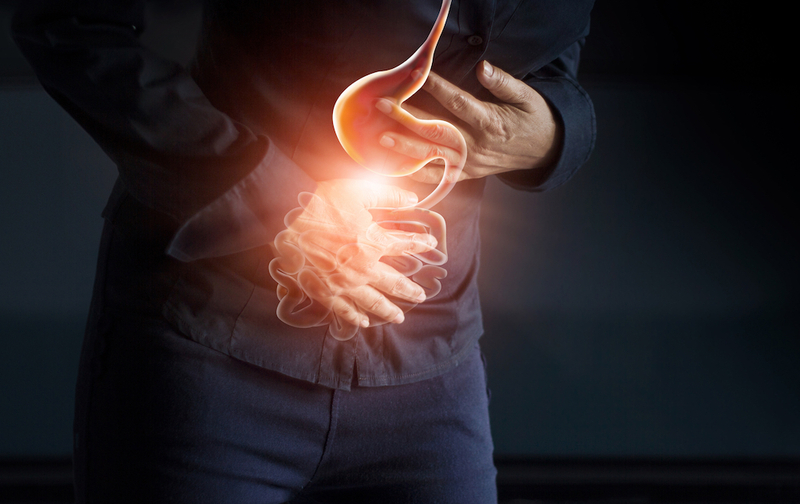 While gastritis and ulcers are treatable, upper GI bleeding can be lethal if the bleeding can’t be stopped, or if the stomach lining is perforated and releases digestive acids into the body cavity around the stomach. Other associated, life-threatening complications include generalized peritonitis, sepsis and multiorgan failure. Mallory-Weiss tears (a tear in the mucous membrane) secondary to excessive vomiting. Increased risk of stomach cancer. Upper GI obstruction secondary to chronic inflammation/scarring. Some of these conditions may require surgery to completely resolve, and could present life-threatening risks to the individual. In particular, obstruction or perforation of the stomach are emergency situations that require immediate intervention and can lead to death if not treated. Antibiotics to control certain types of GI bacteria that may contribute to the irritation and damage. Proton pump inhibitors and other acid reduction medicines. Antacids to neutralize acid that is produced. Probiotics to encourage helpful gastric bacteria. Each individual has different factors contributing to whether acute gastritis will develop into a chronic condition. Working with a doctor is the best way to determine the individualized treatment needed to help the person manage alcoholic gastritis. However, the ability to do so hinges specifically on the person’s ability to stop drinking alcohol. Without removing this main cause, the gastritis is likely to continue even with the most effective medical intervention. It is possible to treat gastritis using medicines that soothe and heal the stomach lining if other means don’t work. However, the first steps to dealing with the issue usually involve trying to eliminate the primary cause of the inflammation and damage to begin with. For people who abuse alcohol on a regular basis and who develop either acute gastritis or chronic gastritis, one way to potentially reverse the damage is to stop drinking. If the damage is extensive before drinking is stopped, it may not be able to be fully reversed, and lifelong management of chronic gastritis may be required, including reparative surgeries, regular medication, avoidance of irritating foods and other treatments to prevent additional damage. Quitting alcohol is never a bad idea. Even in instances of chronic gastritis, it is certain that stopping drinking will lead to diminishing the symptoms of the condition and easing discomfort. If an alcohol use disorder or other compulsive drinking behavior is a factor in the development of gastritis, it can be especially challenging for the person to stop drinking in order to provide the best chance for helping this condition. In these cases, professional substance abuse rehabilitation could prove vital in helping the person begin to recover. Comprehensive, individualized alcohol treatment interventions can help individuals stop drinking alcohol and stay abstinent, minimizing the likelihood of relapse. With a firm commitment to treatment and recovery, and to maintaining long-term abstinence from alcohol, alcoholic gastritis can be managed, and the individual can return to a healthier state of being for the long run. With treatment, those who are struggling with alcohol abuse or alcoholism—but have not yet developed alcoholic gastritis—can potentially avoid developing the condition altogether, contributing to overall health and quality of life.